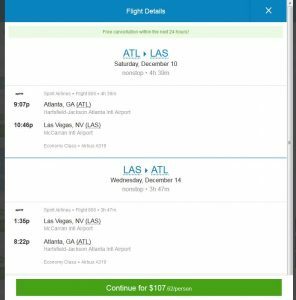 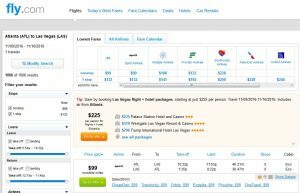 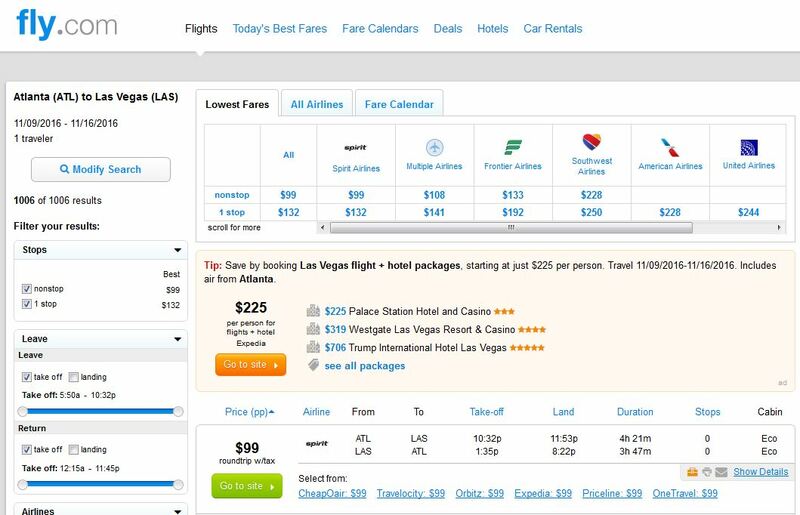 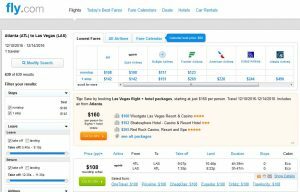 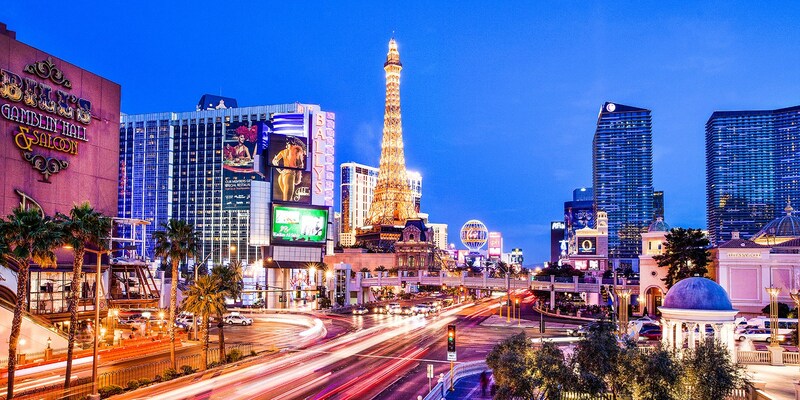 Flights to Las Vegas from Atlanta have dropped to $99-$108 roundtrip, including tax, representing a savings of up to $150 on the usual cost. These nonstop flights are on Spirit Airlines and are available for travel Oct. 10 to Dec. 14. 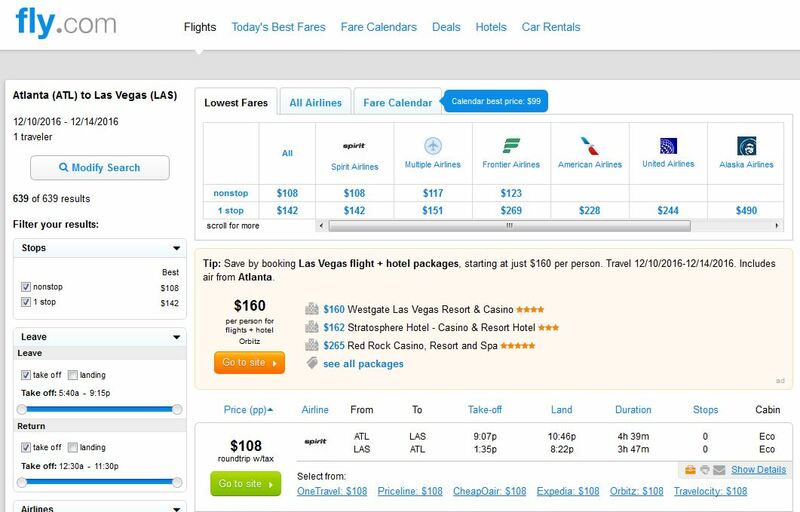 For more cheap fares from Atlanta, click here.